I’ve always thought one way to check how good things are for you is to see what you complain about. We (and I include me in we) often forget all of the good things we have, and tend to complain about what we don’t have. Even when what we do have is very, very good. And many modelers fall right into that category. A great meme from Spencer Pollard. Be sure and visit his blog at https://thekitbox.wordpress.com/. Thanks to Spencer for allowing use of his graphic! A prime example of this is the angst many are pouring out over Tamiya’s announcement of a new-tool 1/48 F-14A. Generally a product announcement from Tamiya would be seen as wonderful news. Past announcements often send the model world into a frenzy, with modelers figuratively doing to Tamiya’s leg what a happy dog will often do to its owner. Yet this announcement has created quite the opposite reaction in many a modeler. It’s not the plane they want. It doesn’t look right. Everyone else has done it. Why didn’t they do XYZ airplane instead? Granted, discussion forums are for just that- discussion. So expressing opinions is part and parcel of the entire process. But it does make me shake my head, because it revels something about us as a community. We generally act like spoiled rotten children. It’s not enough that Eduard is producing some of the finest kits ever in the history of the hobby. Or that Airfix is putting out a wide range of affordable kits at an astonishing rate. Other emerging Eastern European and Asian companies are producing a wider variety of kits than have ever been seen. And even when some of those are difficult, they are heads and shoulders above the “good old kits” we so lovingly like to remember. There are decal sets, resin sets, photoetch sets, paints, putties, equipment, and more to make the hobby more enjoyable, more accurate, and more engaging. The sheer depth of knowledge available in printed and digital format is unprecedented. 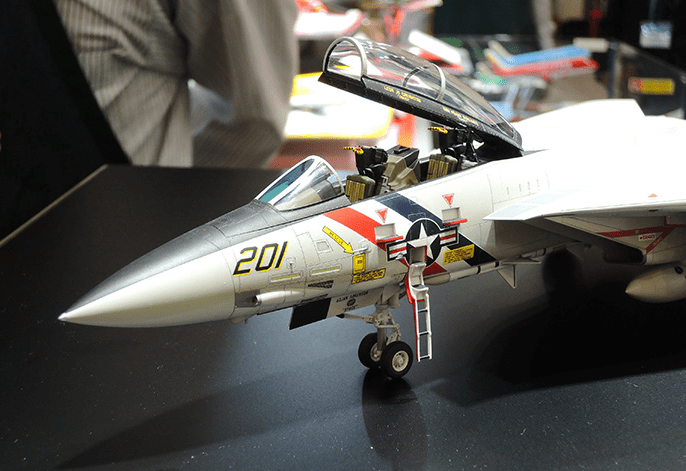 And our ability to directly engage other modelers from around the globe- many of them luminaries in our hobby- is something never before available. We’ve become spoiled. Rotten, whiny, spoiled. We don’t acknowledge how good we’ve got it. Well, here’s a dose of cold, hard reality. Those days are numbered. Why? Just look a the trends. The survey I conducted last year, while not perfect, indicates one inevitable conclusion. The majority of the model buying hobbyists of this world will be dead within 25 years. Really most sincerely dead. And all the high hopes for printing your own models, or new people entering the hobby to sustain it, just aren’t realistic to sustain the industry. Because modeling is a business. Tamiya and Eduard and Airfix and all the others aren’t in business to worry about how much you promise you’ll buy kit XYZ if they’ll just make it. Their reason for producing a kit- bottom line- is revenue. Period. End of story. Face it- the model companies who survive do so because they know more about the market than we do. In that regard, Mr. Grumpy Mcgrumperson, they are smarter than you. Now there’s nothing wrong with expressing your opinion. Personally, I was hoping Tamiya’s foray back into the 1/48 model world would have been a WWII fighter. That’s what I build. Of course I’d hope for that. But I am encouraged that they are getting back into 1/48 scale. I was beginning to worry they’d abandoned it altogether. Hopefully if this model does reasonably well, it will encourage them to do more. And eventually, they’ll get around to WWII single engined fighters. Hopefully they’ll choose a subject I’ll be very interested in. Yet even if they don’t, I’ll take the long view. The view that says as long as they’re active, the hobby still has some life in it. So whine away. In a few years, you’ll sit silently amid your stash, wishing someone would release anything new. If you’d like to know more about Tamiya’s new kit, take a look at this video produced by Brett Green of Hyperscale. Previous Post:A lot of work going on! Well, that was spot-on and true, Jon. As much as we like to think that we know the market the manufacturers have a solid handle on it themselves. 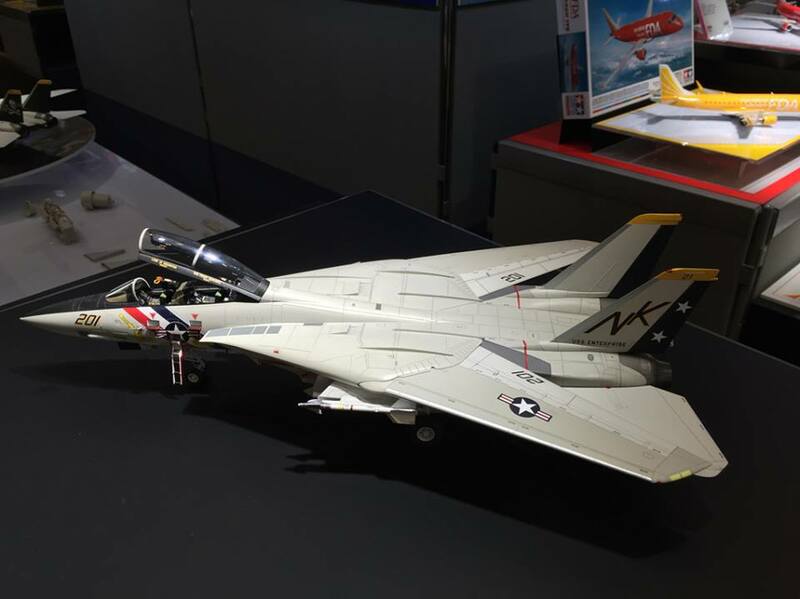 While baffled that, of all the subjects to chose from Tamiya chose an F-14, I am pleased to see them release a new 1/48 aircraft kit. Let us hope this is the start of something good. ‘Active internet forum participants’ are a minority of the overall modelling community; a minority voice. Hyperscale publishes stats of visits from various countries around the world – some impressive, hefty numbers in themselves but when it comes to posted F-14 complaints or those directed at the previous incarnation of the Eduard Bf109G-6, etc, etc, etc, the actual numbers of identified individuals making the noise in a given thread are a fraction of those who are either uniformly and consistently silent on such forums and those for whom forums play no part in their participation and enjoyment of the hobby (and happier by far, per capita, I bet they are). Some of that ‘silent majority’ may certainly concur with the expressed criticism but I don’t believe that gets even remotely close to a majority. On that basis, Spencer’s meme pokes fun at a minority (and I’m happy to see them lampooned). If my assertion is correct, then forums are not ‘the voice of modelling’. They are instead, ‘a voice of modelling’ and one that perceives itself as being more important than it really is. I’ve spoken to Airfix about similar sentiments that have been directed at them over the years. Much of it they sensibly disregard and rightly so and just continue on with the overall game plan; things which have logical foundations of truth however, are absorbed and acted upon. The former outweighs the latter. Something else revealed in all this is how active internet forumites of all persuasions gravitate readily towards tribalism and the consequent division of modellers across a host of boundaries and parameters, into pigeon holes of their own personal invention.